a spot of whimsy: natural christmas. c and i spent the second weekend of december down in colonial williamsburg with my family. my mom had always wanted to see it decorated for christmas, and we were all too happy to oblige! 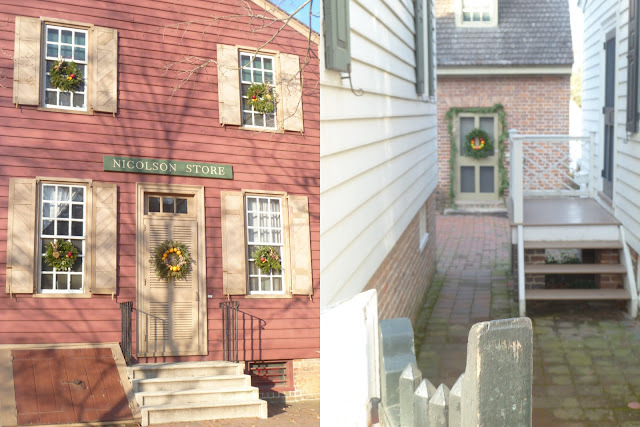 i was surprised by just how inspired i was by the natural handmade decorating throughout the historic district. 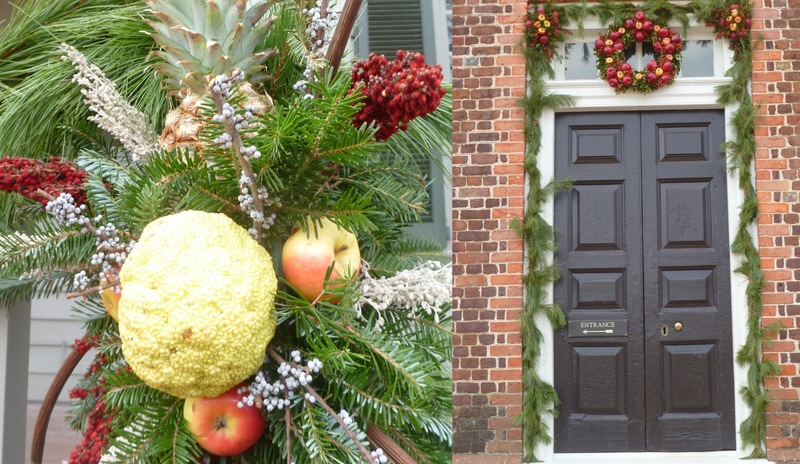 plenty of live fir wreaths, pomegranates, apples and pineapples, as you'll see below. at once simple and stunning. if i hadn't had to get on a plane at the end of the weekend, a lot of these elements (or even the finished product - you could buy those too!) would have found their way home with me. and at night - just a single candle in each window. swoon. if only my camera hadn't totally failed at capturing that beauty. we had such a lovely little weekend together. hard not to, in such a charming town! beautiful pictures... and most especially your family picture !! :) beautiful.